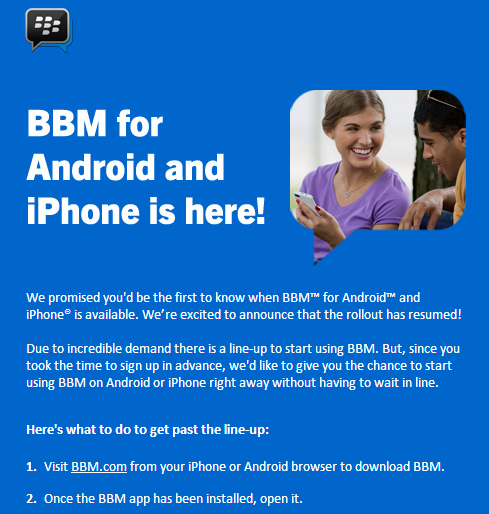 The official BBM from Blackberry for Android and iOS has been launched. Get the free BBM app on your devices for the best way to stay connected with friends and family. Now get the official Blackberry app and get more of it on your Android and iOS devices.